Adventures with Jude: Pop Final! 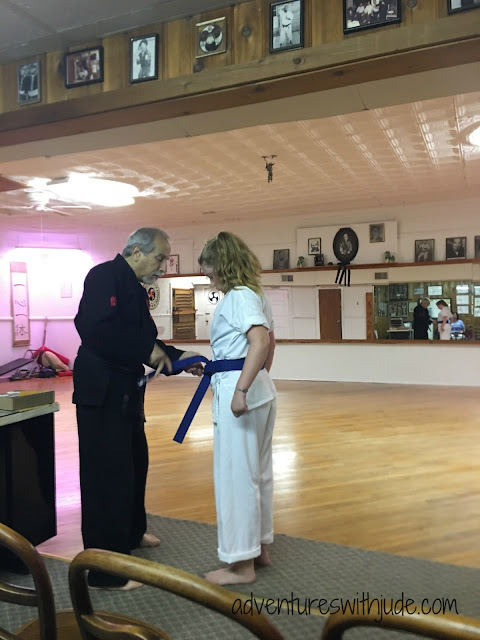 For the last few weeks, Celia has come out of the karate dojo saying, "I'm almost ready for my belt test. 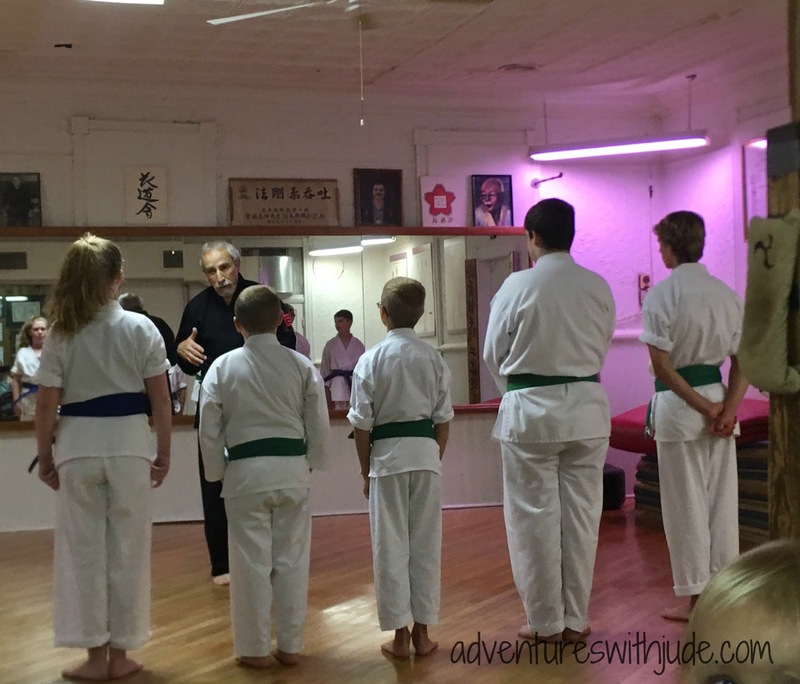 We're just waiting on (one of the other orange belt kids) to be ready so we will do it together." This week, Celia was the only orange belt in class, and there were only five other kids present; everyone else was on vacation. 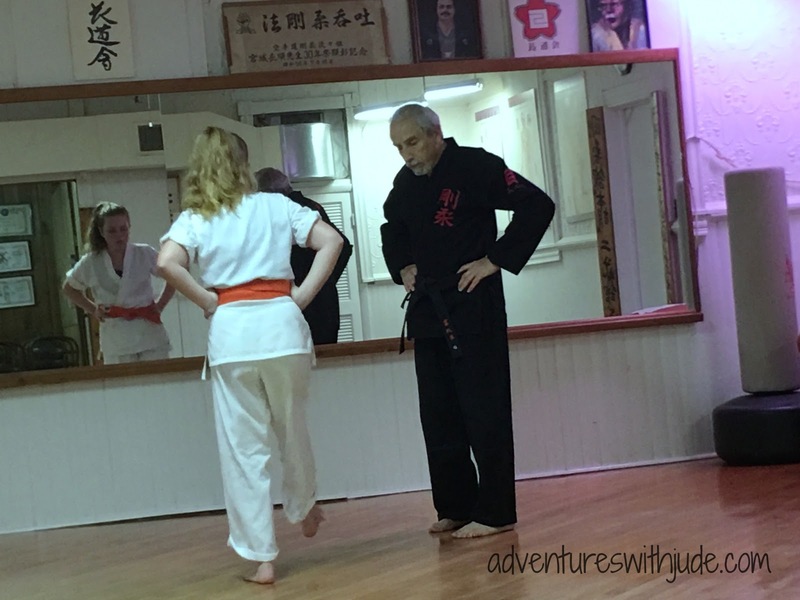 The Shihan (master instructor) decided not to wait any longer. Usually students have a week's notice to prepare for a belt test, but he asked her if she'd mind taking the test that evening. Since she's been anxiously waiting to take the test, she agreed. After class, I asked how she felt about the short notice - about two and a half minutes! She said at least she didn't have time to worry and be nervous. When I said she looked pretty calm, her response was, "Yeah, but in my head I was freaking out!" 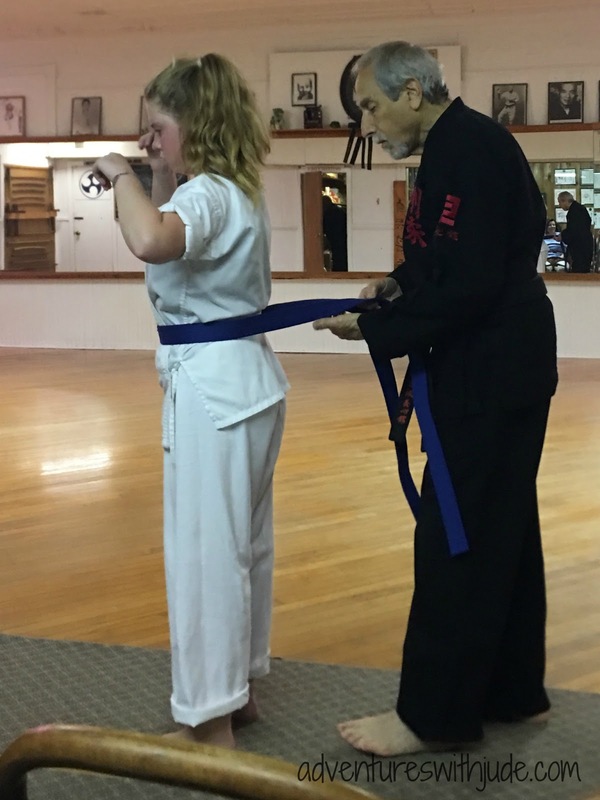 When she was done, she smiled, tossed me her orange belt, and went to stand at the edge of the floor to be re-belted. Praise is not given lightly in their dojo. 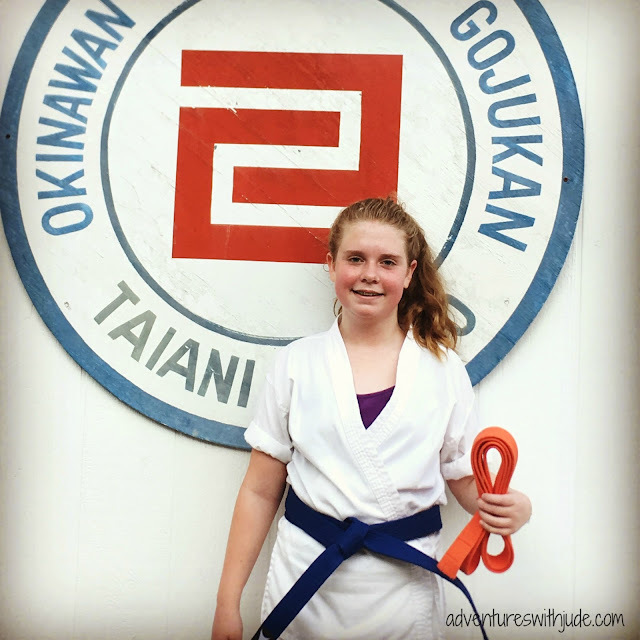 Everything - good or bad - is earned, so for Shihan to compliment her performance as "outstanding," that's pretty awesome. She now gets until the next class to "bask in the glory," as he says. Students are expected to practice daily at home, so she has a week to enjoy the time off between passing the test and beginning work on the next level.